Uncover your personal riding style with the adaptable and accessible Boxer. A nod to the straightforward design of its namesake, the all-new Boxer blends efficiency and innovation for a riding experience that is both versatile and forgiving. A single luff strut marries the best characteristics of strutless and strutted kite designs. The strut’s relaxed connection to the canopy creates a dynamic structure, which allows the canopy to freely expand and contract, while maintaining the strength of a strutted framework to handle heavier loads with ease. 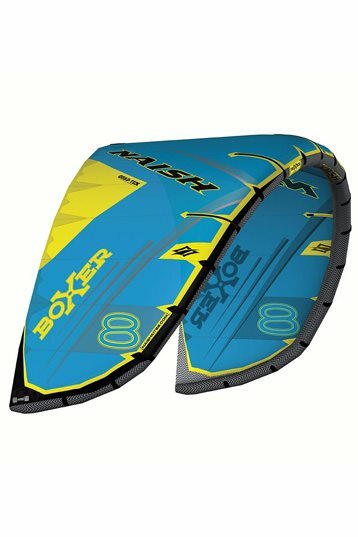 An outstanding underpowered kite, the Boxer is incredibly easy to relaunch, light to the touch, responsive but gentle. 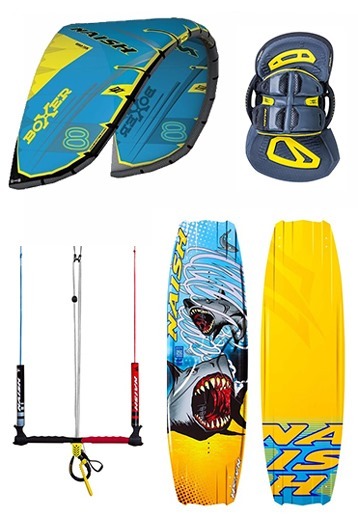 Very easy to sheet in and go, this kite is quick, easy to control and generates power quickly. It’s light and lively feel at the fingertips makes it approachable and forgiving. In short, the Boxer is the proverbial “yes man”—eager to please, easy to control and supportive enough to explore your own style. The boxer felt reliable, stable, gentle en with no surprises. The pressure builds up gradually and with the bar you can slowly power/depower the kite all the way through the depowercord. Cons: for a 12 it seems a bit slow and doesn't accelerate easy. (when steering, or looping the kite) It felt like you need to put some effort to get it going. I was on a Hydrofoil and some people say get a 12 m as your biggest kite if you buy a hydrofoil. Well, not the Naish Boxer or North Mono both weren't strong enough to get me going. But maybe I am to heavy with my 91kg. Above the 10 knots I had great fun with the Boxer, great drift, fast reaction, good feedback and a long de-power stroke. This de-power stroke increases if the wind is picking up. 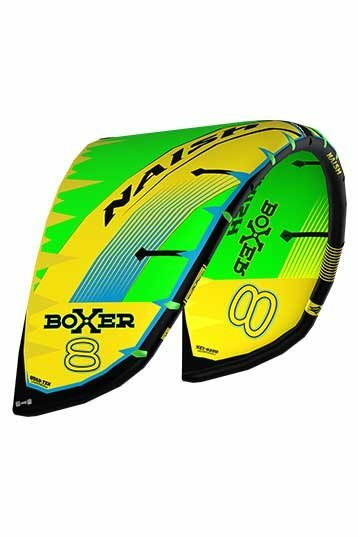 First impression on the new Naish Boxer 12m. The Boxer has a 1 strut concept now. 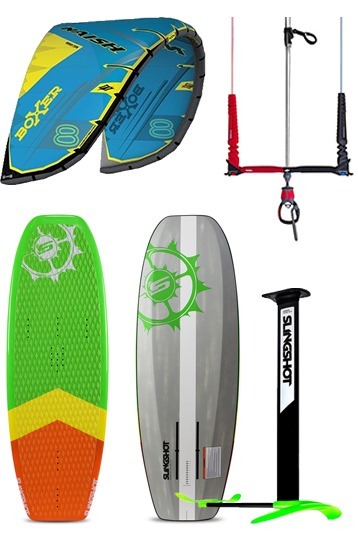 Naish kiteboarding totally changed the setup. Today I was on a hydrofoil and the Boxer 12m. This kite felt very stable, the turns felt a bit square with overall the same pressure. What I liked about the new Boxer is the drift. If you lose the tension on the lines during a gype, the Boxer finishes its turns, no stopping or losing control. So great drift in 10-13 knots. The de-power arm stroke was pretty long with feedback all the way. Personally I like a long stroke with good de-power feedback, it gives me that extra stability & balance in those foiling turns. Really liked the 12m Boxer, can't wait to test it in < 10 knots of wind.